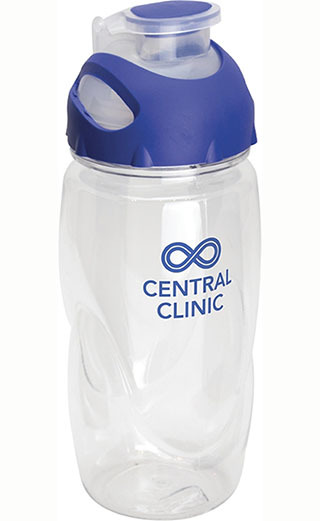 This stylish water bottle features a contoured non-slip grip with rubberised colour coordinated lid. Made from tough BPA free Tritan this compact size bottle will go the distance. Available with black, blue or red trim. For use with cold liquids only.